Happy Monday! Did everyone enjoy their Mother's Day weekend? Despite the rainy and cold weather and feeling a bit under the weather myself, I had a fun and relaxing weekend. I slept in both days, went shopping for a graduation dress with my daughter and then out to lunch on Saturday and had a fabulous brunch with my family on Sunday. I'm excited to be collaborating once again with my friend Susan, from Charming Lucy. Today we are styling our camo jeans for spring. 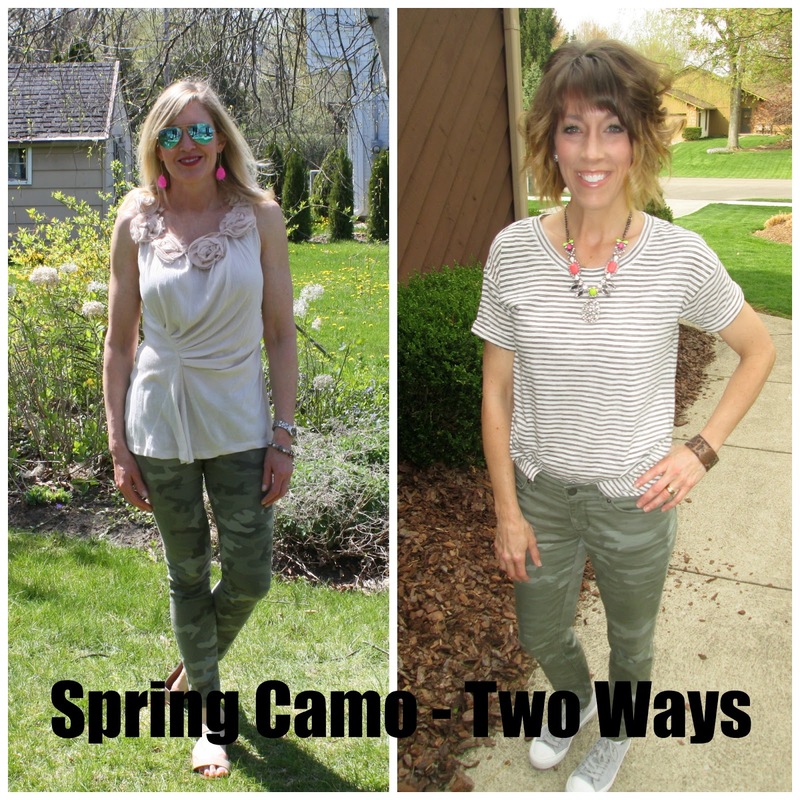 For me, camo is the new neutral and I have been wearing these camo skinny jeans non-stop since I purchased them almost two years ago. I'm so glad that this trend is still going strong because these jeans are the perfect base for pattern mixing and they look great dressed up or down. Susan styled her camo with my favorite, a striped tee and then added a statement necklace for a pop of color. 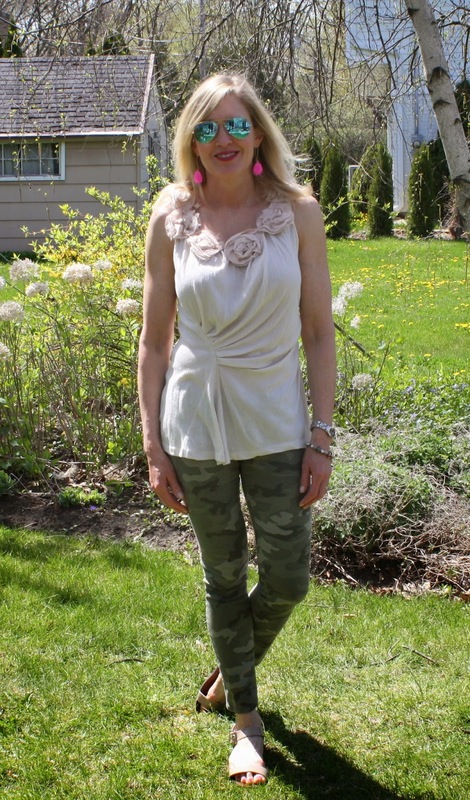 Stop by Susan's blog to say Hello and see the rest of her outfit photos! Mixing textures and staying with a neutral color palette kept this outfit interesting without being too busy. The rosette tank top added a girly vibe to balance out the masculine print of the camo. I added my pink drop earrings for a splash of color and I never leave the house without my aviators. Have you embraced the camo trend? What's your favorite way to style it?